Home > Classroom Snapshot: How is Reading a Novel like being a Detective? 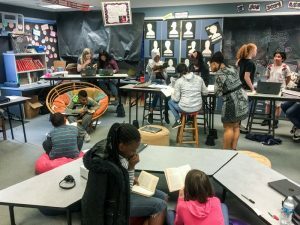 Classroom Snapshot: How is Reading a Novel like being a Detective? Denisha Saucedo’s sixth graders can tell you. Denisha Saucedo’s sixth grade classroom might have been confused for a detectives’ office on a recent spring afternoon. In small groups, students dissected the facts of a mystery case and suggested possible suspects. In a larger group—a detective staff meeting—two students volunteered to lead the discussion and ask questions about key characters. The case at hand was a mystery novel the students had started reading the day before — The Westing Game, by Ellen Raskin. And the task was to separate facts from inferences. To do so, students needed to read the text closely, take notes, and think critically about whether their statements came directly from evidence in the book. “When you’re talking in groups, please clarify—‘this is what I read, this is what I infer,’” Saucedo directed the group. Saucedo is a veteran English Language Arts teacher at Kent Elementary School. 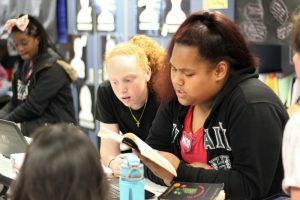 She was named the 2018 Regional Teacher of the Year for the Puget Sound Educational Service District. She is also the Kent School District Teacher of the Year, and a graduate of Kent-Meridian High School. Outside of her classroom, Saucedo is a mentor teacher, a Professional Learning Community team leader, member of several planning and improvement committees, coach of the school’s STOMP team and track team, and volunteers as a coach for several community youth sports teams. In Saucedo’s classroom, the walls are covered with posters and signs to help guide students’ learning. Some signs offer reading strategies, others lay out the state learning standards for reading and writing, so students are clear about the targets they are working toward. Students at Kent Elementary recently finished Smarter Balanced assessments, so student-made signs full of encouraging words such as “trust in yourself” and “don’t forget to do your best,” also grace the walls. Reading text carefully and analyzing evidence to support claims are key skills that Saucedo teaches her students. She also places a strong emphasis on writing structure and integrates Smarter Balanced-like questions into the projects they work on all year. “It makes them better writers,” she said. 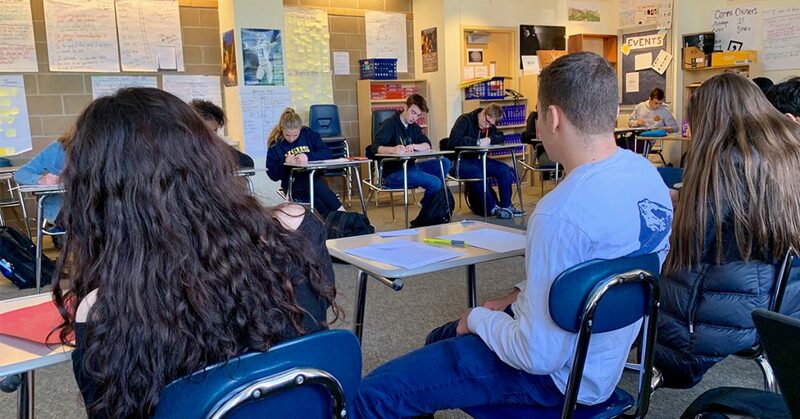 As students alternated between small and large group discussions about the mystery novel, Saucedo moved around the classroom, asking students questions and encouraging them to think deeply, to clarify and refine their understanding of facts versus inferences. When students addressed one another, they were clear about whether they were adding on to an idea that had already been stated, offering a new idea, or asking a question. And when the class drew to an end, a collective sigh went around the room. Recess was next, but many students said they wished they could move on to chapter 3 instead.